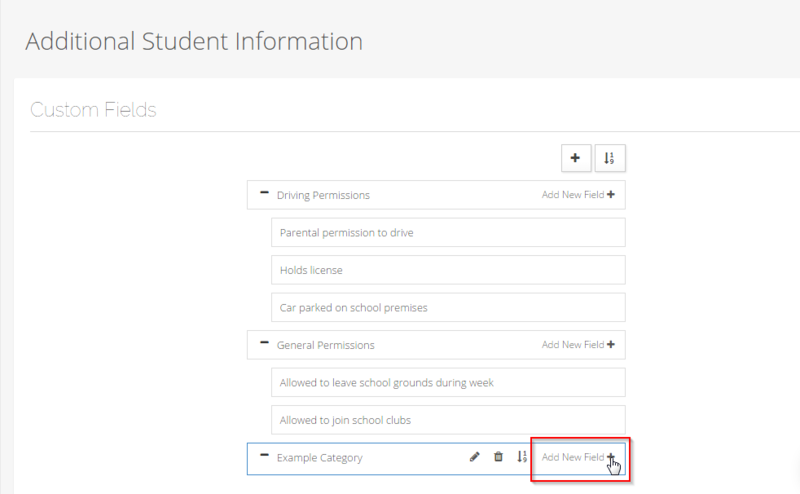 To add your own custom fields to students' profiles, please follow the steps below. On the Students page, click on the 'i' icon (additional Information). Note: the Icon on the right of the trash can icon, is there to help you sort the order that your fields appear. Select your field type and name your field, click "Create"
This category and field will now be added under the students 'More Info' tab on the right side of their profile. 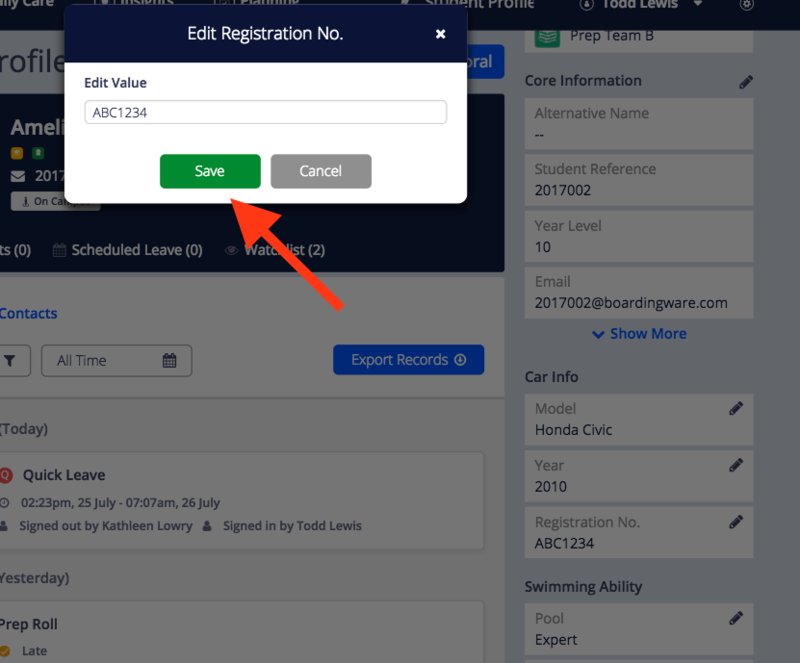 There are two options for inputting data into the additional information fields - Manually input data via the student profile or do a bulk upload via a csv template. 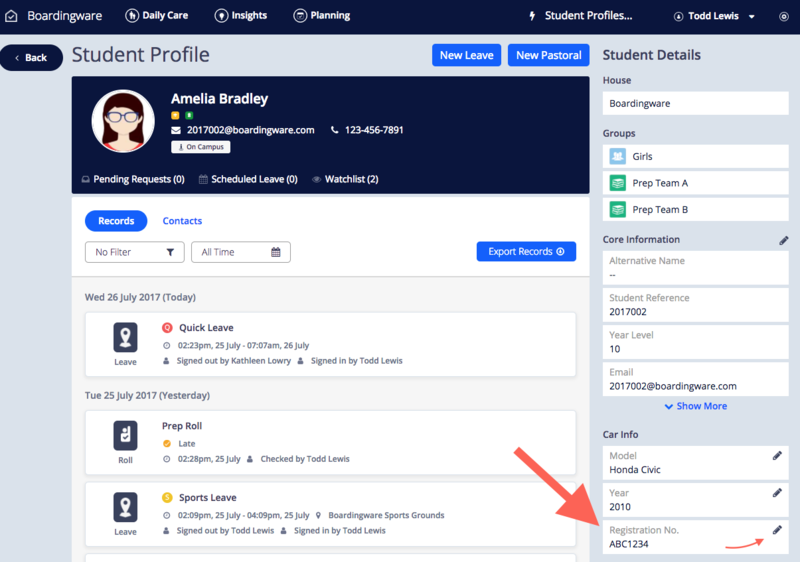 Open a student profile scroll down to find the Additional Information you want to edit. Your data has now been added! The process is done when importing your students. 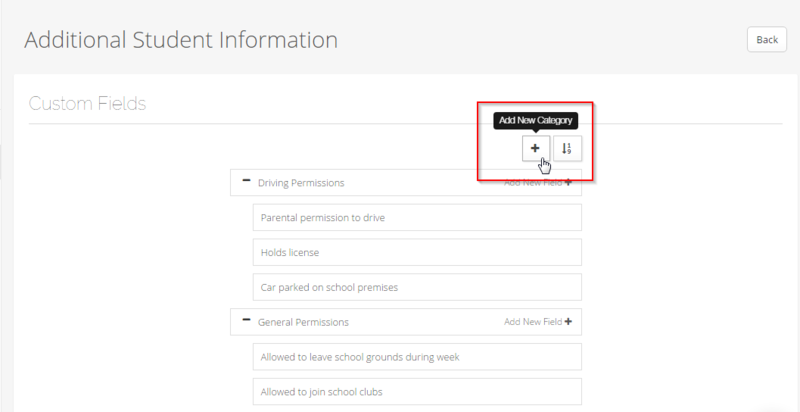 Your additional information fields will be included in the CSV template. From here you can create a spreadsheet with all the updates you want to upload. If you require any further assistance please contact our support team via the blue chat icon at the bottom right of this page.